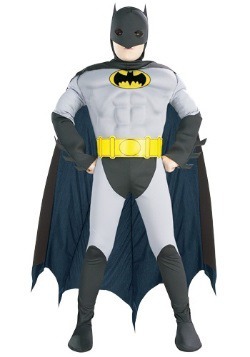 Batman was one of the earliest comic book superheroes, first appearing in 1939. 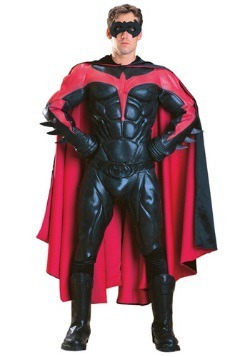 It took him less than a year to earn his own title and join Superman as one of the cornerstones of the comic universe. 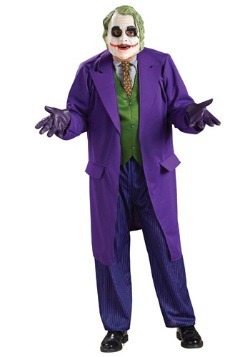 He's been in comic books, TV and several movies. 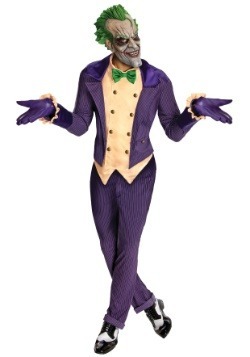 So, if you're going to be him for your costumed event, you have a decision to make. 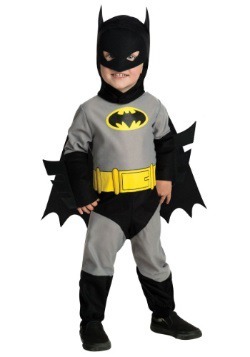 Which version of Batman do you want to be? 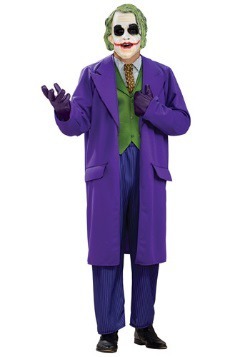 His appearance and costume have evolved over the years and across different media. 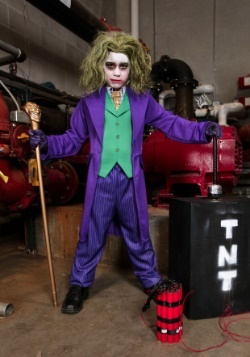 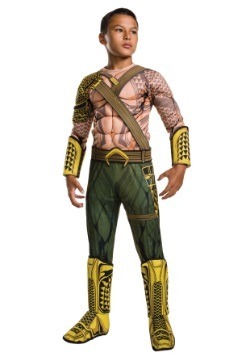 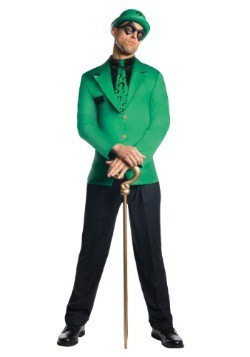 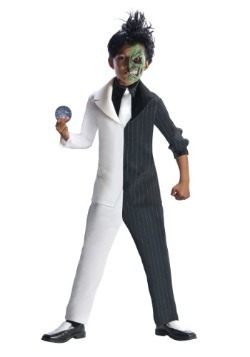 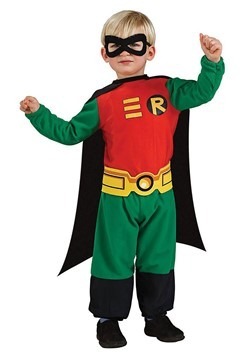 We have costume options for many of his incarnations, in sizes from infant to adult plus. 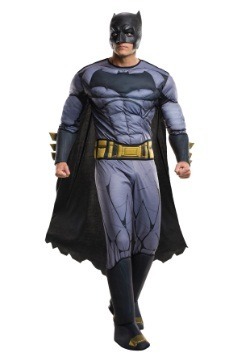 Maybe you'd like to look like Adam West, who played Batman in the 1960s TV series. 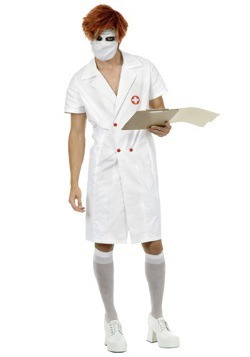 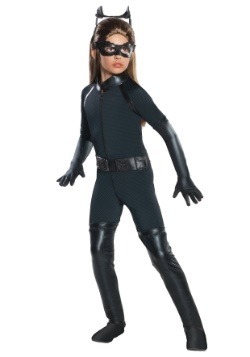 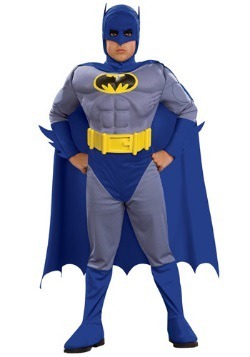 His costume was a light gray jumpsuit with dark blue briefs, boots, hood & cape. 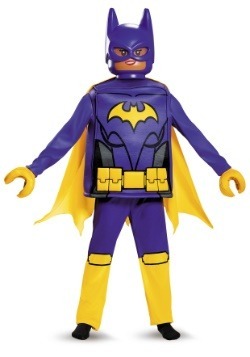 He wore a yellow utility belt and had the bat symbol in a yellow oval on his chest. 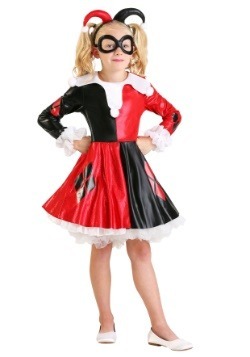 We have several versions of this look. 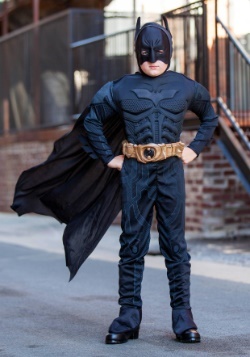 Some of them have padding in the chest and shoulders to give you the look of a muscular physique without spending hours in the gym. 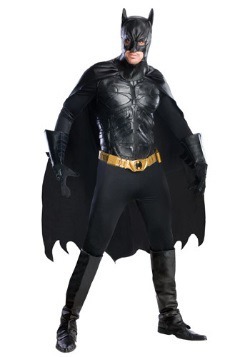 Or perhaps you want the darker, all-black look from the Batman movies. 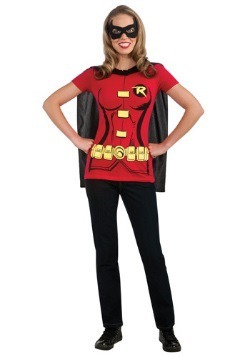 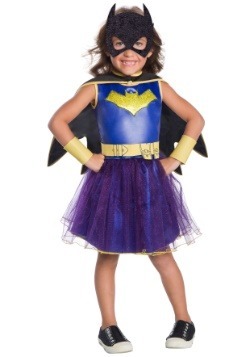 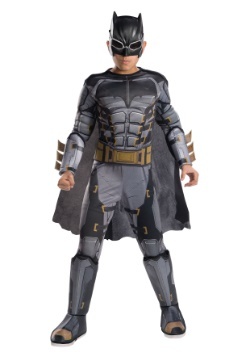 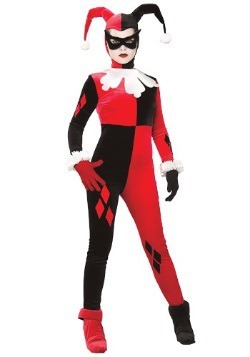 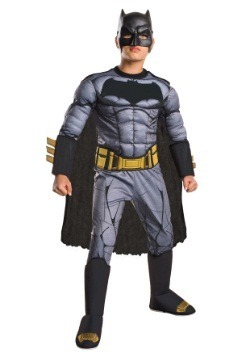 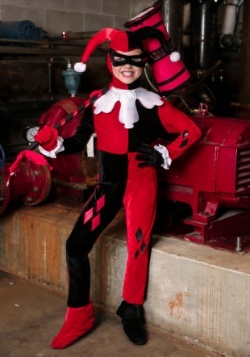 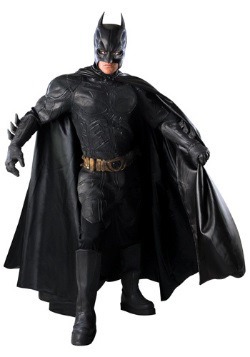 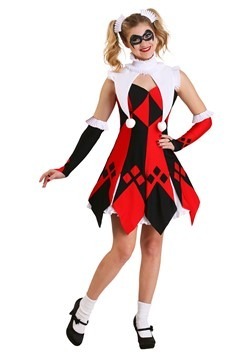 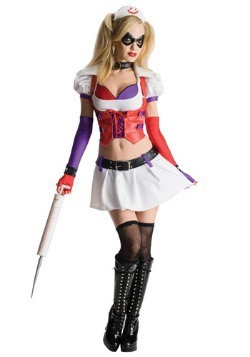 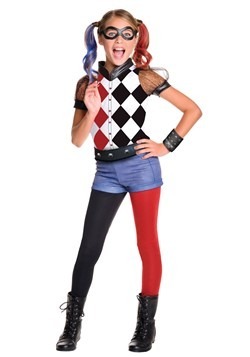 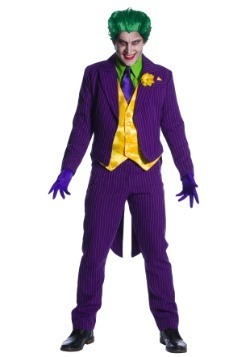 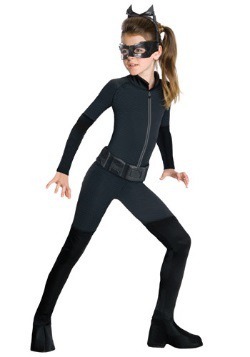 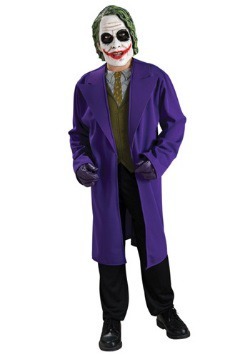 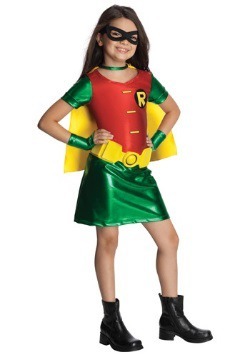 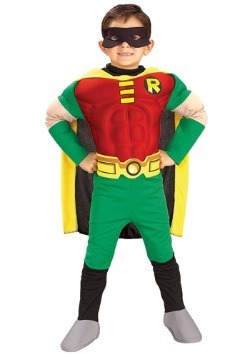 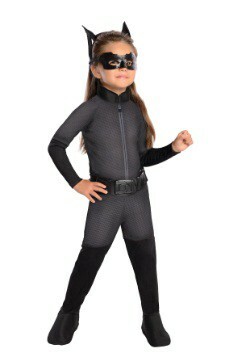 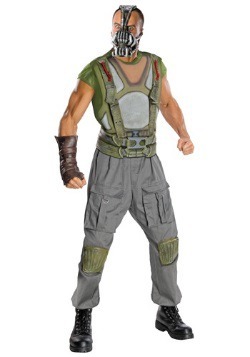 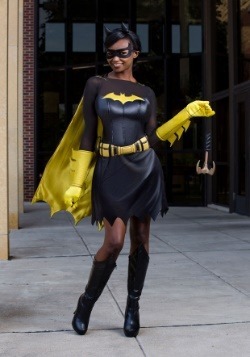 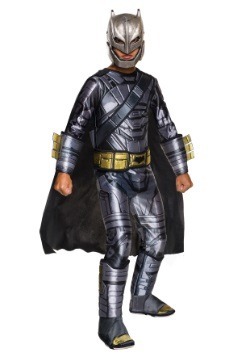 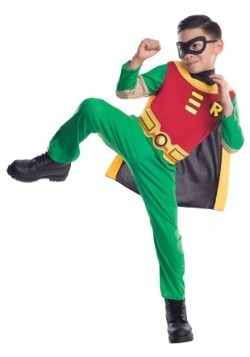 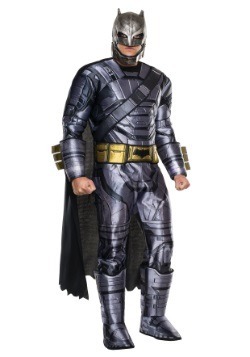 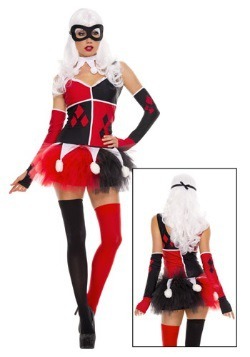 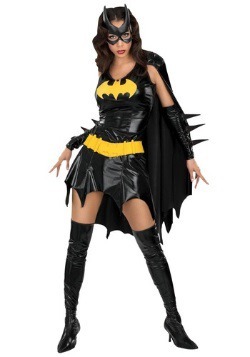 We have Dark Knight costumes for all ages at a variety of price points. 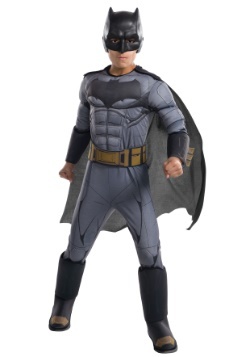 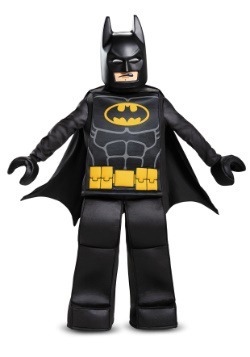 If you're going to be Batman, you'll want to add accessories like Batarangs and a grappling hook. 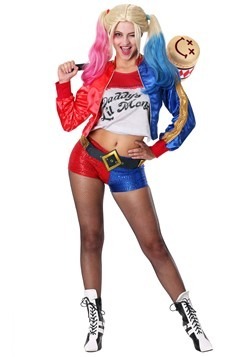 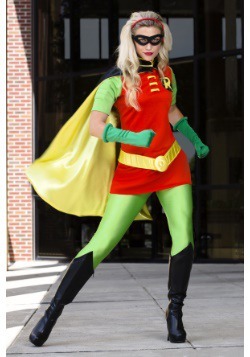 You'll also want to have a friend or significant other to be Robin. 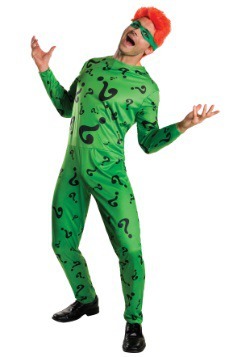 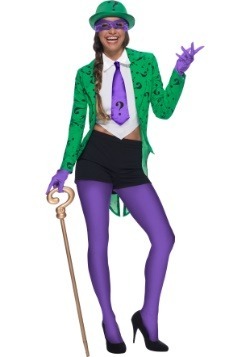 For a group of friends you could have a rogues' gallery of villains: The Joker, Penguin, The Riddler and more. 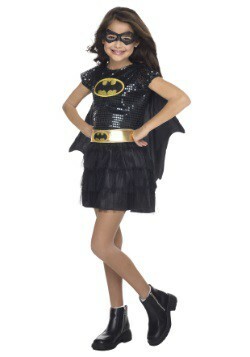 So watch for the Bat Signal, and when it appears slide down the Batpole to the Batcave and zoom away in the Batmobile. 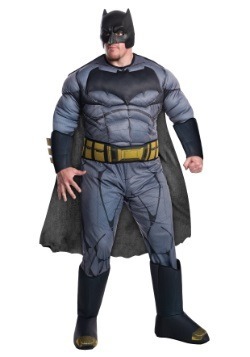 Gotham City needs you!